With an impressive 18 underground bunkers linked by trenches and reinforced by barbed wire fences and minefields, the Hillman Fortress was once an important German WWII command post and the headquarters of the German 736th Regiment. 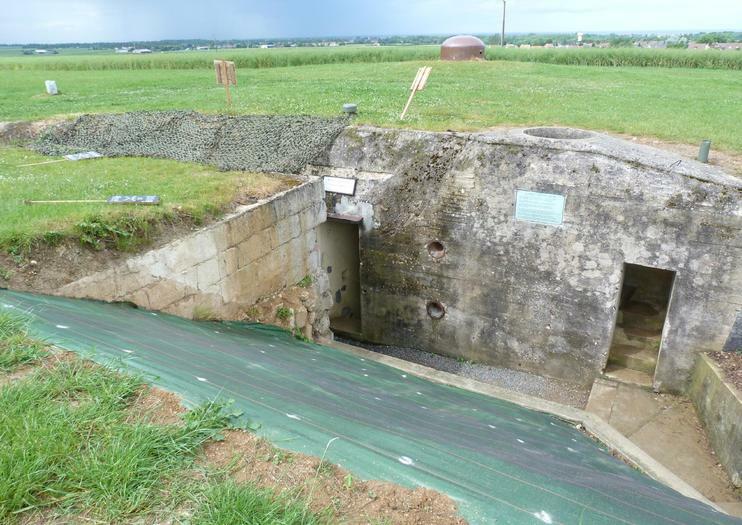 Known as Hill 61 by the Germans and codenamed ‘Hillman’ by the British, the strategic bunker complex was attacked on 6 June 1944 as part of the D-Day Allied invasion and finally liberated by the Suffolk Regiment the following day. Today, the hilltop bunkers have been preserved as an open-air museum, run by volunteers, and visitors are free to explore the 24-hectare site, including the kitchen, bunkers, command posts and well. A memorial museum is also located on-site, where visitors can learn more about the Hillman Bunkers and the Suffolk Regiment. The Hillman Fortress is located in Colleville-Montgomery and is open to the public at all times. The on-site memorial museum is open in July and August, daily except Tues and Sun, from 10am-12pm and 2.30pm-6.30pm. Admission is free, but donations are welcome. Hours: Opening hours: Open at all times, Memorial museum: July-Aug, daily except Tues and Sun: 10am-12pm, 2.30pm-6.30pm. Explore some of the most famous battlefields of World War II during this private Normandy tour from Caen. Visit the D-Day beaches, where Allied soldiers invaded northern France on June 6, 1944. See the landing beaches and battlefields of Normandy, pay homage to the fallen at national cemeteries and visit area museums. Your expert guide can personalize this private tour to suit your interests.